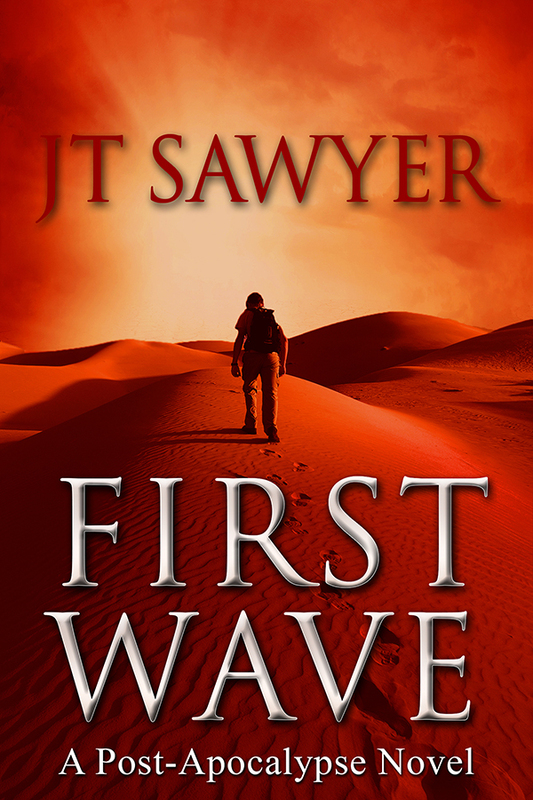 Book Tour — First Wave by JT Sawyer + Excerpt! As he and his group complete a 22-day trip on the Colorado River, they find the world has unraveled from a deadly pandemic. Now, he has to show his small band how to live off the land and cross the rugged Arizona desert, while evading blood-drinking zombies, gangs of cartel bikers, and a rogue government agency. Doctor Robert James Pearson lowered the silver-rimmed glasses on his nose as he gazed at the clear vial before him. His technicians in the research lab next to his office had gone home for the day. The only noise came from the hallway outside, where he could hear the comforting footfalls of security personnel doing their evening sweeps in the high-security facility on the outskirts of Albuquerque, New Mexico. He stroked his thin gray goatee while marveling at the precious substance in the vial. After thirty-eight months of toil in his lab, his research for the Department of Biodefense was complete. The viral load he and the other scientists had perfected in the modified avian flu strain had passed the initial series of animal testing and the antidote was ready to use, if necessary. They had painstakingly taken the original 1918 virus and magnified its replication capabilities. This super virus dramatically increases the onset of necrotizing bronchiolitis while instigating diffuse alveolar damage. The subject will typically perish from internal hemorrhaging within twenty-four hours of exposure, he had proudly stated in a recent briefing to his funders. The Biodefense officials had assured him that his research in neurophysiology and virology was critical to arriving at an antidote before terrorists could complete their own strain of the new virus. Now, over three years later, he could wrap up this voluminous project and resume his work at Stanford. Pearson was part of a six-man group of researchers who conferred through daily videoconferences, comparing research data. They were the brilliant minds behind the resulting antidote that could potentially save millions of lives. As he pondered the accolades he would receive from his contemporaries in the scientific community, the landline phone on his desk rang, jolting him back to the present. Very few calls ever came in on this phone, and he picked up the receiver, squinting his eyes and tensing his lower lip. Pearson interrupted his friend’s hurried exclamations. “What are you talking about? How do you know?” said Pearson, clutching the phone and thrusting his shoulders forward over the edge of the wooden desk. “Wait, what…what do you mean….why would they….” Pearson paused, and his eyebrows scrunched together as he heard the sound of muffled gunfire coming from the hallway. His eyes darted to the brown door leading into his small office. He tried to dismiss the noise as a janitor’s cart tipping over, or another sound—anything other than what he had heard. Then the rhythmic pattern of gunfire shuttered through the hallway again as he heard people shriek and collapse to the floor. Pearson’s face looked frostbitten as his world constricted. He placed the phone down and grabbed the vials of vaccine from the desk, along with his laptop, and thrust them into a compact metallic briefcase. He could hear the password keypad being activated for the exterior lab wall across from his office, and the sound of a woman’s voice issuing commands. The familiar swishing sound of the first set of air-locked lab doors opening followed next. With a white-knuckled grip on the briefcase, he pried open his office door to see three armed men and a woman with a black vest enter the lab. The first series of doors closed behind them. Pearson swung open the office door and bolted in the opposite direction, heading for the stairs. His tan blazer fluttered like a cape as he ran down the stairs to the emergency exit. He entered the security code, and the pressure-sealed door opened to a dimly lit parking lot. After the door slammed, he stopped and turned around, then activated the biohazard alarm for the building. He didn’t wait to see if his actions were successful in sealing the intruders inside as he sprinted for his black Volvo. As Pearson sped towards the security gate, he could see the door ajar on the checkpoint booth. The security guard, a portly man he had greeted each morning for years, was lying face down atop a blood-sprayed console. As he raced away, he kept waiting for the roar of police sirens heading to the facility, but there was only the expanse of the lonesome desert road enveloping his car. On the seat beside him was the silver briefcase containing the vials of vaccine. His constant furtive glances in the rearview mirror matched his racing thoughts. If the virus could be contained in Europe then there might still be hope of preventing it from turning into a catastrophic pandemic. But how long had it been? If quarantine was unsuccessful, then widespread fatalities would commence within two weeks. He reflected on the recent meeting that Emory had mentioned. That icy-eyed woman with the neck scar said her employer would be overseeing vaccine distribution in the event of a bio attack. How was she involved? What was she doing at the lab? Twelve miles later, the remote two-lane highway ended at a T-section as the last glimmer of sunlight streaked across Pearson’s pale cheeks. The faint lights of vehicles driving on the interstate could be seen in the distance. A hundred yards down the road, a green sign indicated Albuquerque to the east and Flagstaff to the west. Reluctantly, he edged towards the west entrance ramp. This would be the safest direction for now, and perhaps offer a chance to salvage humanity’s future. JT Sawyer is the pen name for the author who makes his living teaching survival courses for the military special operations community, Department of Homeland Security, US Marshals, FAA, and other federal agencies throughout the US. 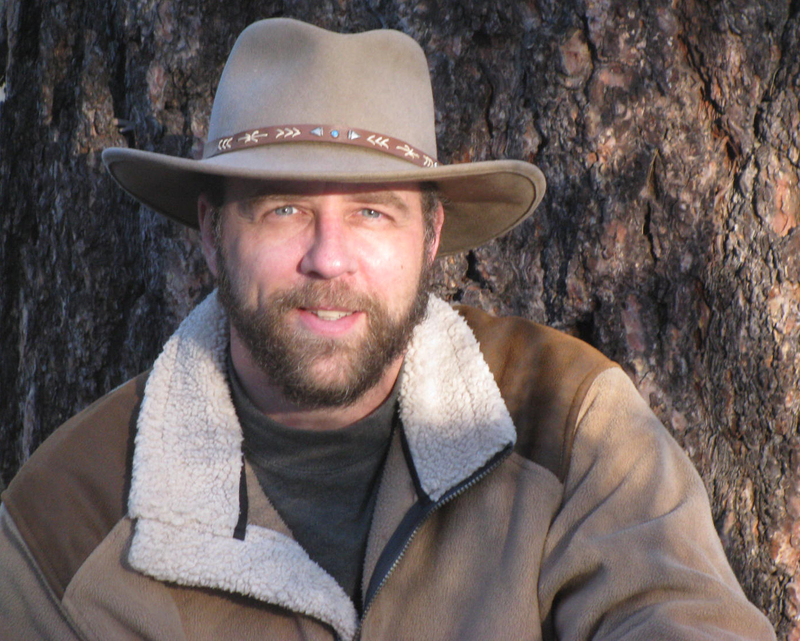 He has over 25 years of experience testing long-term survival skills in the desert, mountains, and forest.